I have basically gone into over drive with bright what I call crayola colors this spring. Not exactly sure when it started but it was somewhere pre New Orleans trip and it’s been full on ever since. 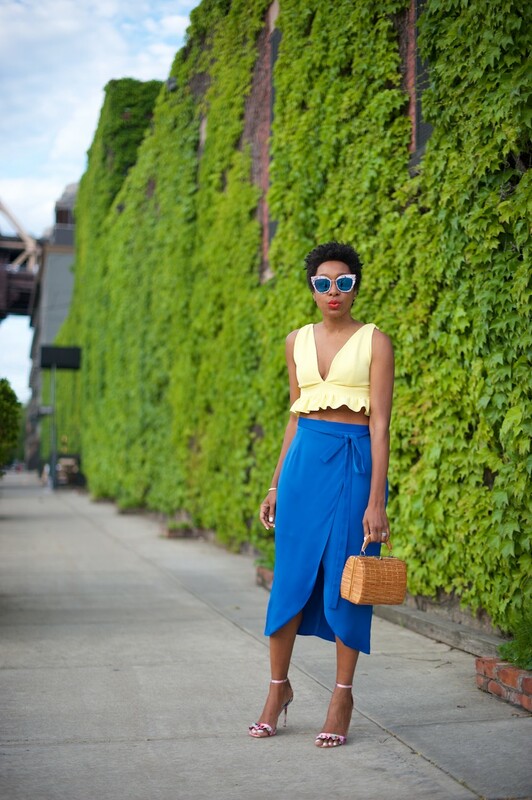 Case in point, when I saw this canary yellow bralette and satin cobalt blue skirt combination I was (obviously) sold. The brighter and clashier (just invented a new word), the better. The barely there ruffle heels were just too tempting not to get too. ps. How long do you reckon it is before River Island crosses the pond? In London I literally grew up with them.